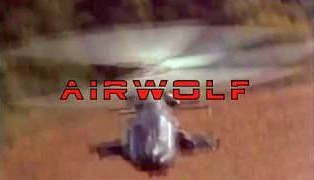 Airwolf was an American TV show that originally ran from 1984 until 1987, but was also broadcast in the UK. It featured a high-tech military helicopter (a Bell 222) which was code-named Airwolf. The title music was actually orchestral in series one and for the first part of the second series, before becoming synthesizer-based as in the video above - this has to be one of the best synth tunes of the 80s! It was composed by Sylvester Levay. The series one main characters were Stringfellow Hawke who was played by Jan-Michael Vincent, Dominic Santini the proprietor of Santini Air (played by Ernest Borginine) and Michael Coldsmith Briggs III (played by Alex Cord) who was the Deputy Director of CIA Division named "The Firm" and code-named Archangel. And we musn't forget Marcella (played by Deborah Pratt) who was Archangels right-hand woman. In series Two and Three we saw the addition of Caitlin O'Shannessy who was played by Jean Bruce Scott as the producers wanted another female character, and some of the original cast became semi-regular. The final Series Four saw a dramatic change with a whole array of new characters and most of the original cast were completely written out! 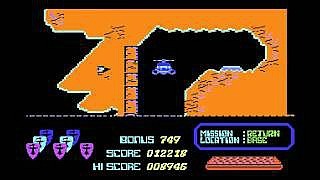 An Airwolf Video Game was also published by Elite for the Commodore 64, Amstrad CPC, ZX Spectrum, BBC Micro and Atari 8-bit. 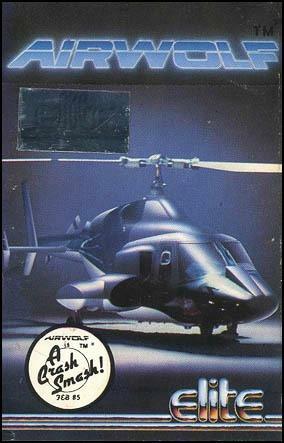 If I remember rightly, the game for the Atari and BBC caused a bit of controversy as it was originally Blue Thunder (it featured a blue helicopter) and was adapted so it could be released as Airwolf. Anyway, it was a very challenging game on all versions and I got very frustrated with it on my Atari 800XL! This is a very fine video review of the ZX Spectrum version of Airwolf which was published by Elite. In this clip, you can watch gameplay from the C64 version of the game. This game was also published by Elite for the Amstrad CPC, C64, Commodore 16, BBC Micro and ZX Spectrum, although I don't believe it was made available for the Atari range. However, if you know differently then don't hesitate to let everyone know in the comments box below. The video features the original soundtrack music being played on an Amstrad CPC464.